Welcome to Day #5 of Chocolate and Hazelnuts Theme Week. 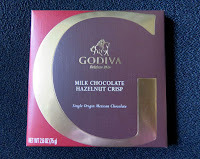 Today's Milk Chocolate Hazelnut Crisp bar from Godiva Chocolatier Inc. (New York, NY). The company was founded in 1926. Hats off to any business this close to celebrating its centennial anniversary. The slightly fruity, relatively flavorful milk chocolate (42% Cacao) with a very faint artificial flavor note* was billed as Single Origin Mexican Chocolate. 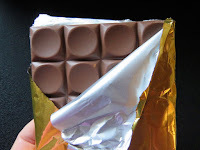 The bar had an unmistakable hazelnut aroma and a relatively creamy sweet milk chocolate mouthfeel. The smoothness was accented with a slightly crispy texture—accomplished with a combination of rice flour and other ingredients (milk powder, sugar, and perhaps some cocoa butter). 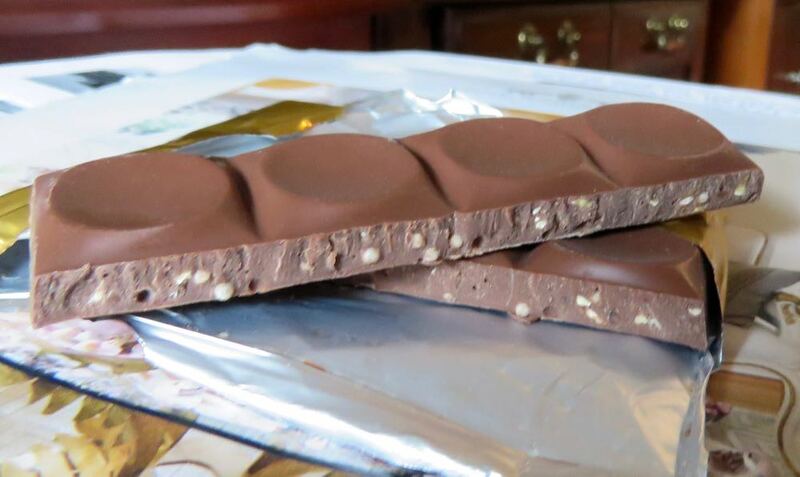 *This bar did contain some "natural flavor," emulsifiers and possible traces of gluten (wheat, barley and/or oats).